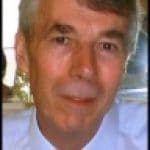 I will show you a technique to create a shortcut for a modern style App on Windows 8's old style desktop. We need a vehicle for our experiment, I chose to create a shortcut for the Bing Weather app. If you haven't done so already, visit the Windows 8 'Store', and install any Modern App. Orientation: Our action will be at the old Windows desktop, and not the Modern (Metro) UI. Note: If you just want a tile on the Modern UI then see 'Pin to Start'. Problem: What's the name of the Modern App to type in location box? In this instance we are not going to make any changes to the registry settings, we just want the name of the Metro Style App, so that we can create a shortcut on the desktop in Windows 8. This is a rare job for HKEY_CLASSES_ROOT hive. Trap: Scroll-down to Windows.Protocol. (I spent 10 minutes looking in Microsoft.Windows.Protocol). 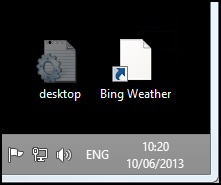 Locate the name of the app for which you are creating a shortcut, in my example it's: Microsoft.BingWeather. Drill down to the App's CustomProperties. 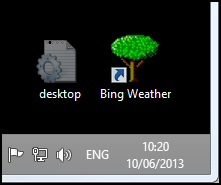 In the right pane, observe its Name: bingweather . Key Point: our mission was to find this name, and not to make any changes to the registry. In Windows 8, switch to the 'Old' desktop. Do remember that :// at the end. 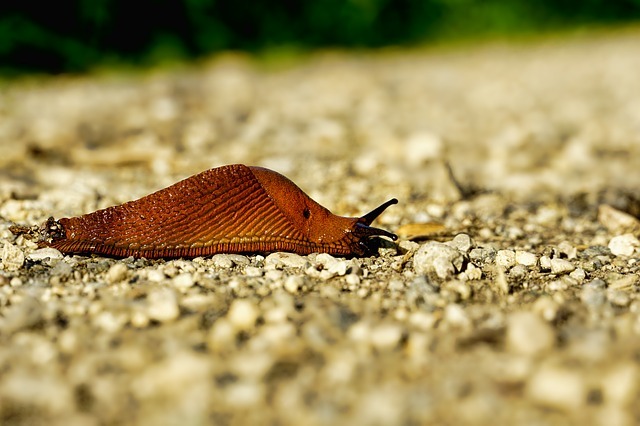 Plan A: It is possible to use the classic method of right-clicking the shortcut and selecting Properties, 'Change Icon'. I selected a tree, see screenshot. C:\Program Files\WindowsApps\Microsoft.BingWeather (or your AppID). However, it is somewhat of a trial to change the permissions, create an .ico file from the .png. I did not find it easy. If you go with plan B, then check the precise file name by drilling down under the ActivatableClassId, see above screenshot. Creating a tile for a modern app is easy, just 'Pin to Start' and a tile appears to the right of the Metro style UI. However, the mission is to create a shortcut on the desktop. 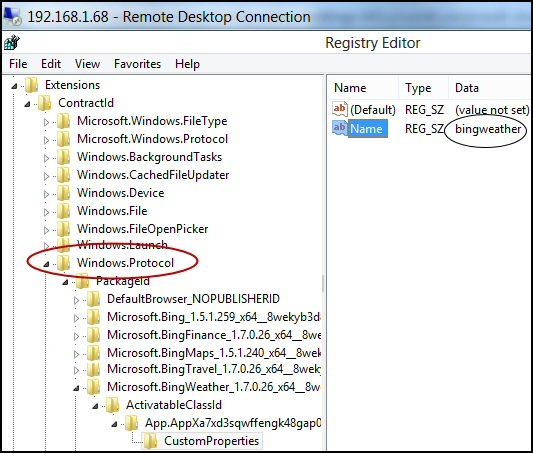 Constructing a Windows 7 style shortcut is easy, even on the Windows 8 desktop. Right-click New, Shortcut. The problem is finding the name so that we can create a shortcut on the desktop for an App from the Store. Browse is no good for finding the location of Modern Apps in this context. The answer is to find this name in the HKEY_CLASSES_ROOT section of the registry, 'bingweather' in my example. Armed with the correct name, we can create a desktop shortcut as normal. Unlike the technique for creating a shortcut Tile on the Metro UI, creating a shortcut for a Modern Widows 8 App on the old desktop requires a look in the registry.